People underperform because they lack soft skills. Regardless of profession, industry or niche, every role occupied by every person requires two very broad categories of skills – hard skills and soft skills. Technical skills and Non-technical skills. Even when someone is considered to be a master of their domain, if they are unable to collaborate, influence, or communicate effectively with their co-workers, their ‘mastery’ will be quickly marginalized. 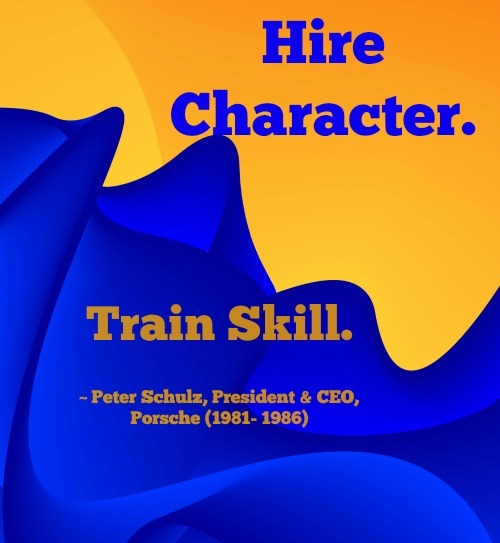 Soft skills will make sure that hard skills shine. More often than not, technical skills will get a foot in the door. After that, it is the people skills that open the doors that follow. 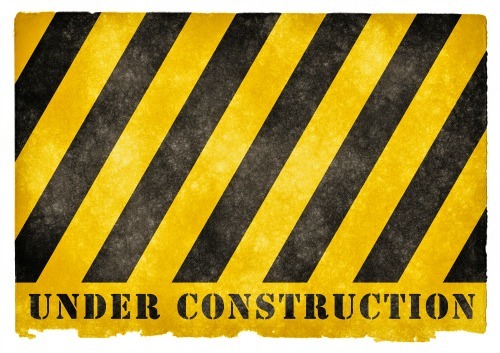 Technical, or hard skills, are the abilities required to perform in an occupational domain, such as engineering, marketing, finance, or construction. These skills are considered specific, tangible, and often observable. By comparison, it is one’s soft skills that, on the surface, appear less tangible and non-specific. These skills may not always be immediately identifiable, however, they do make themselves known rather quickly. Soft skills become readable in action because they are fundamental to how an individual thinks, acts and converses. Ultimately they also determine how successful someone is in their work as well as in their life. Soft skills are the essential underlying support to technical expertise that builds a career. Work ethic, attitude, communication skills, emotional intelligence and a whole host of other personal attributes can make the difference between average performance and exceptional results. I often meet young people who have switched their career direction because what they studied in university doesn’t ‘fit’ with their personalities, work preferences or job satisfaction. Who hasn’t heard of parental pressure being the chief reason someone studied in a particular field? Careers that need hard skills and little soft skills attract highly technical, and often brilliant, people. Technical skills are commonly needed for highly technical jobs, however have limited usefulness if one shifts careers where those skills do not apply. Examples – chemists, physicists, mechanical and electrical engineers, researchers, construction and trades people. Careers that need both hard and soft skills attracts individuals who desire an education, social standing, recognition in their field, however, still require the skills to regularly and successfully interact with others to achieve their goals. Examples – doctors, dentists, accountants, lawyers, professors, coaches, etc. Careers that need mostly soft skills and little hard skills attract people who tend to enjoy being more social and interactive. 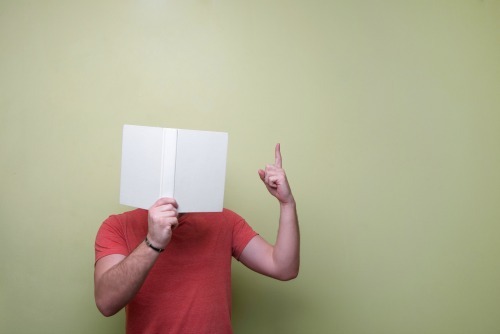 These people rely on their ability to read others, communicate well and be persuasive. Their skills are highly transferable because they do not depend or are limited to a specific hard skill. Examples – Sales and management roles, office and customer account management, project management, tourism, hospitality, etc. Although an individual’s ‘natural leaning’ often contributes to their career choice, this does not mean that people must be ‘locked into’ general categories. The business world has dramatically changed and today’s workplace demands that employees have the soft skills to deliver higher job performance. Soft skills are relevant to all workers, and all employees, in all roles – and nowhere more so than at the senior executive level. The more positive someone’s attitude, the stronger that person’s interpersonal relationships will become. In many instances transferable skills have more impact on getting a job done – successfully and potentially making more money at it. The modern workplace has evolved into a highly interpersonal dynamic that demands the ability to actively listen, present ideas, resolve conflict and encourage collaboration. In other words – understanding the value, need and ability to build and maintain interpersonal relationships. Every company, regardless of industry, may have people who are difficult or have challenging personalities. Although these individuals may be respected for being very talented, they might also be obnoxious, rude, inconsiderate, highly critical or just plain miserable. Unfortunately, everyone avoids contact or interacting with these people unless it is absolutely necessary – and then, and only then, do it reluctantly. Why? Because being brilliant in today’s economy is no longer good enough. The modern workplace hasn’t got the time ,or the will, to support unmanageable people. People skills are far more critical than ever before. Companies now acknowledge that they will struggle to find meaningful ways to remain competitive and be productive with a lack of basic business skills – the people factor. The above examples are warning signs that it is time to assess the level of communication and interpersonal skill in the company. How can a company capitalize on the knowledge, experience and proficiency of a team when there is a total disconnect in the business. Soft skills have more to do with how people act than what they know. Can soft skills be trained? In some organizations there may be an interest, willingness or desire to provide support to employees in learning soft skills. Many companies today retain ‘people developers’ in the form of Corporate Coaches to keep their teams in top running order, improve soft skills and commitment. Initially beginning as Executive coaching, other levels of employees are now being included. The result is incremental increases in performance and focused attention of top talent. Not every person has the opportunity to be included on a corporate plan so they may need to conduct their own skills review. A self-examination may reveal a gap that is holding them back. Evaluating ‘what skills do I have now?’ and ‘what skills do I need to develop next?’ is a worthwhile exercise. Honing soft skills are a worthwhile time investment. It strengthens one’s ability to grow, potentially assist in climbing the corporate ladder and determine which skills are transferable between jobs and even industries. Soft skills are not something that can be ‘studied’ in a book and there is no systematic method or school that teaches soft skills. Although learning soft skills may be challenging, it is not impossible. The process may feel difficult and it can also be uncomfortable at times, but it is certainly manageable. Improving one’s ‘self skills’ is fundamentally about changing behavior and thought patterns. Not just about oneself, but also how one perceives others. Success is measured by how much better one manages the relationships around them – professionally and personally. Unlike hard skills, soft skills are not a precise science and there are no exams or degrees to prove accomplishment. The reality is that one cannot learn and develop soft skills if there is aversion or resistance in changing one’s ways of doing things. Changing behavior takes commitment, time, attention, energy, desire and a lot of PRACTICE to become ingrained. 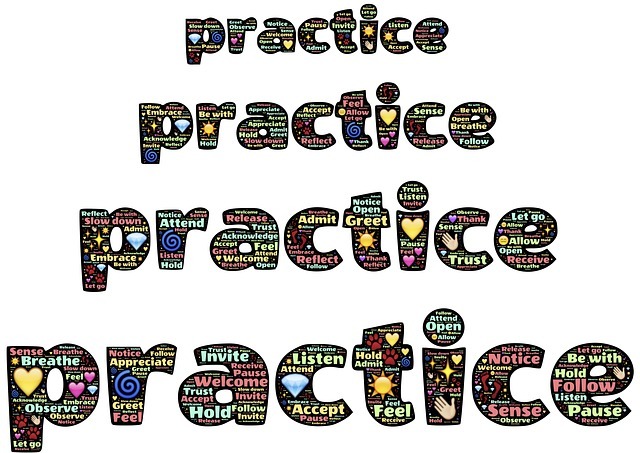 Repetition builds new habits and develops powerful skills – hence the saying Practice Makes Perfect. Never believe the assumption that “I am too old and too set in my ways to develop new skills”. Soft skills can be developed, acquired and improved, but only are effective when practiced, practiced and practiced. Self-awareness is a basic building block in improving social skills. Being more conscious of one’s current soft skills and acknowledging what would be beneficial to add can be the foundation of personal growth and success. 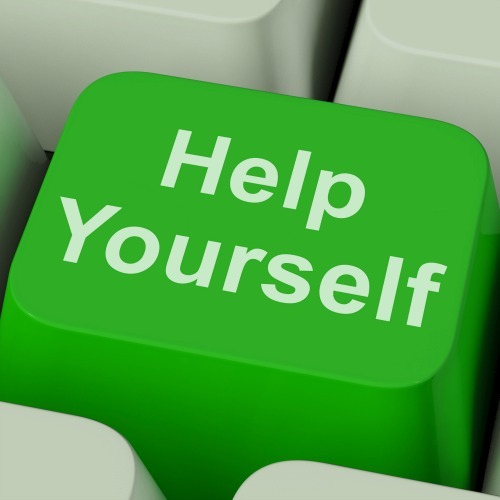 People who are self-aware recognize skills in others that they may be missing. This enables better observation and learning. Mimicking and practicing the behaviour of exceptional professionals helps acquire a soft skill in a similar way as learning many hard skills. It is a myth that one has to be an extrovert to be good at soft skills. Personal project – Each 2 – 3 weeks, choose a new skill to work on. Watch for how others use the skill, do some reading then practice, practice and practice. Give each new skill at least 2 weeks of consistent practice. Once you’ve mastered a skill, replace it with another one. Soft skills are increasingly becoming the hard skills of today’s workforce. They are a collection of social, communication and self-management behaviours. They are about inner strength and interpersonal effectiveness. It is widely accepted that it is no longer good enough to be highly trained in technical skills only. The existence of developed interpersonal and relationship-building skills helps one better integrate and collaborate with co-workers. ‘Fitting in’ with the team makes a world of difference in outcomes. Interpersonal and people skills crossover in every job description and every industry. These skills are universal, transferable and portable. Mastering soft skills is an ongoing journey that only gets better with practice. Each new situation and experience provide one with the opportunity to test soft skills and reach a greater level of competency. “Don’t try to eat a cow in one bite”. It means – Don’t try to achieve everything all at once because developing and improving soft skills takes time.